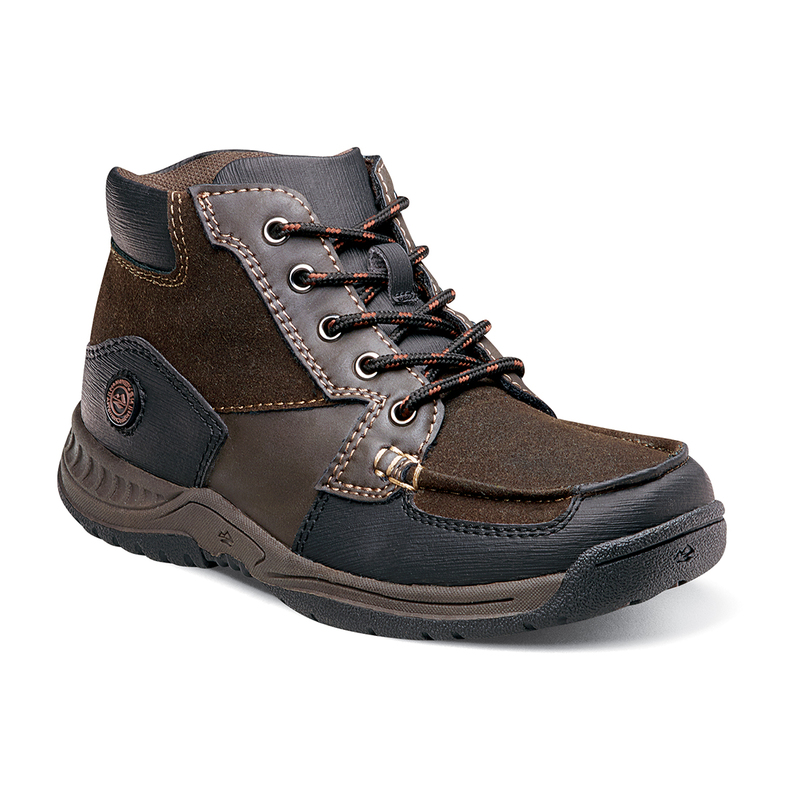 The Hale Jr. is a moc toe boot. The upper is smooth and bungee lace. The insole is an open cell and memory foam Dual Comfort footbed. The outsole is non-marking, flexible rubber.